For a complete listing of parks and what they offer, see this matrix. Camping, electricity, water, picnicking, hiking trails, fishing, bow hunting, winter sports, toilets and handicapped facilities. This 80 acre area contains over 30 acres of wetland created from past mining operations and is located southeast of Corley. The ponds contain bass, crappie, catfish, bluegill and bullhead to delight any angler. 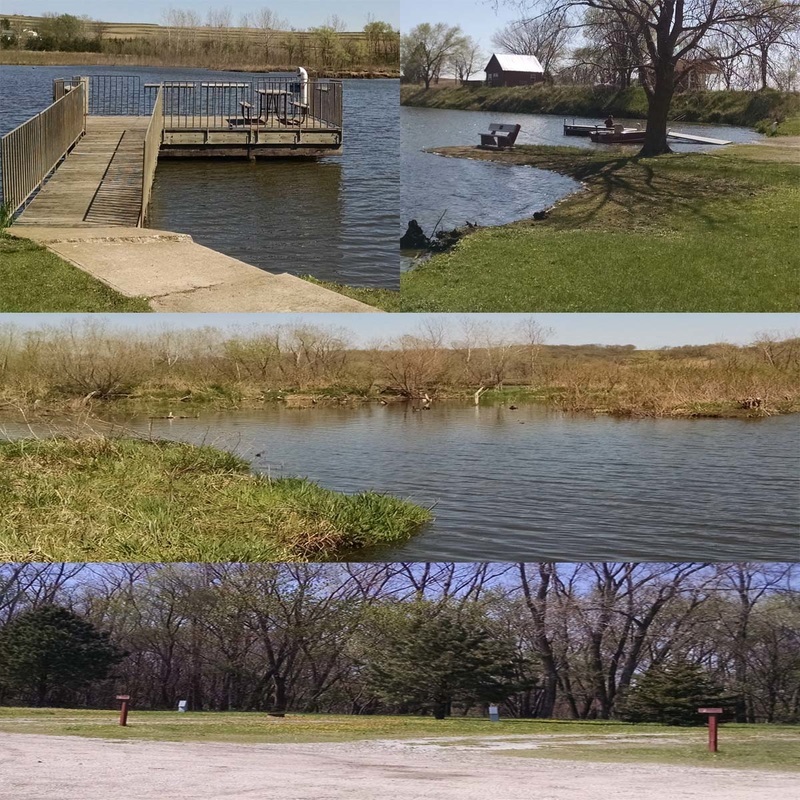 Features include hiking trail, a river access, and arboretum, a planting of tall grass and short grass prairie with many species of wildflowers, nature learning center, shelter house and handicapped accessible fishing pier. The main office of the Conservation Board and Roadside Management Department are also located here. The Board is developing this area for it’s water resources and wildlife value, and is the focus of the county’s learning program. Oak Ridge Habitat Area is approx. 94 acres of timber and prairie. This is a public hunting area that is managed for wildlife habitat. Also has hiking trails. This 218 acre lake with 422 acres of park area features camping, electricity, water, sewage dump station, showers, picnicking, hiking trails, fishing, boating, winter sports, handicapped facilities and a swimming beach. Hiking trails hunting, toilets and winter sports. Hiking trails, hunting, toilets and winter sports. Camping, electricity, water, fishing, hunting, toilets and handicapped facilities. Camping, electricity, water, picnicking, hunting, toilets and handicapped facilities. Hiking trails, fishing and hunting.